UL’s state-of-the-art laboratories help ensure regulatory and brand compliance of your products. Throughout the global supply chain, UL experts perform chemical and physical testing, quality inspections, and manufacturing audits to optimize products, mitigate the risk of costly recalls, and protect brands. UL’s testing programs help ensure products are safe and manufactured to brand specifications. Our quality assurance experts help our clients address all phases of the global textile supply chain — from raw materials such as fiber, yarn and fabric, to components like snaps and trim, to completed garments, helping deliver quality products to the global marketplace. 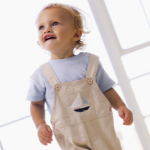 Safety testing of apparel and accessories for children focuses on small parts ingestion and strangulation hazards.